While the Democratic establishment and even some Sanders supporters (as Clinton supporters are anxious to report) are saying it is time for him to give up, Sanders has at least two reasons to continue the campaign. The most obvious is to continue to protest how the system has led to someone as unsuited for the presidency as Clinton now being the presumptive nominee. The second is that, despite considerable speculation, nobody really knows what is happening with the FBI investigation and whether Clinton or her top aides will be indicted. 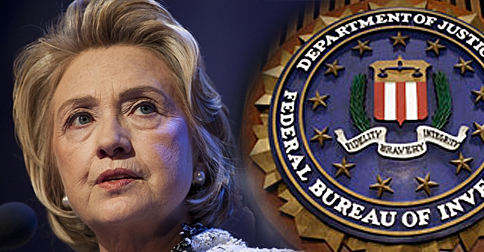 The FBI is treating everything on the private server used to run former Secretary of State Hillary Clinton’s personal email account as evidence or possible evidence as part of the federal investigation connected to the machine, the bureau said in a court filing this week. The FBI refused to publicly confirm other details of its investigation, and in the Monday evening filing declined to outline what, if any, laws it believes may have been broken to prompt its investigation. It also would not say who the target of the investigation is or confirm reports that multiple senior Clinton aides had been interviewed as part of the probe. Still, the claim that all material is being treated as current or potential evidence could bode poorly for Clinton, who this week clinched the role of presumptive Democratic presidential nominee. Regardless of whether Clinton is indicted for mishandling classified information, the recent State Department Inspector General report verifies that she did violate the rules in effect for handling email and that her statements over the past year have been false. At very least her actions violated rules to promote government transparency, and were a sign of both dishonest and foolish behavior. While not as devastating as an indictment, the facts of the email scandal could be damaging in a general election campaign. This might not matter against a candidate as weak as Donald Trump, but it is not even certain that the presumptive Republican nominee will actually get the nomination. With Republicans fearful about what Trump might say next, there is increased talk this week from some Republicans and conservative pundits of changing the convention rules so that delegates are not bound to Trump on the first ballot, leaving the possibility of choosing a different nominee. At present we have what could be the two worst options in history presented as the presumptive nominees. With choices this bad, it would be great if something happens in each party to disrupt the idea that the media’s presumptive nominees are the inevitable nominees.